No Matter what the type of product is, if the presentation of the product is not good, it won’t sell. In current digital world, there is no room for products those are not presentable. Custom Printed Boxes is the way to move forward! Packaging of a product makes the goods presentable to the market. More the attractive package is, it has a greater probability of selling fast! 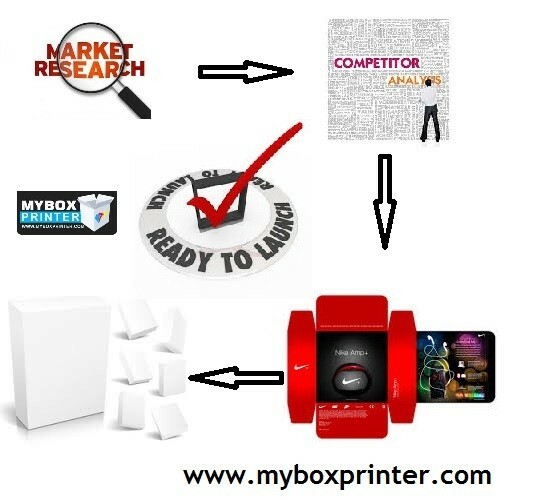 There is a complete process of new product launch and in that launch process packaging boxes are one of the major factor. Below are few of the steps one should consider to present products in the market for sales. Market Survey is a first and very important step and should not be ignored. Complete and detailed survey is very important before any product launch. During market survey complete range of available products in the market are collected and a list is prepared. Then the comparison process starts in which the product packaging & presentation is compared with the market collected list to find faults and improvements in the product presentation. Then the improvement process starts in which certain improvements are made according to survey. Competitor analysis is very important as it gives final shape to the product presentation. Identification of the competitors is also important as selecting the wrong competitor may affect the product launch. After identification of the competitor, analyze completely how they are packaging their products. Check out how they are using custom printed boxes to present their products. After the analysis, make a checklist in which outline all the features you want to have in your packaging design for your product. Once competitor analysis is complete and packaging design feature list is prepared then hand that list over to your art team or packaging expert to convert the wishlist into custom packaging design. Make sure packaging design fulfill all your parameters collected during market survey and competitor analysis before the design for custom boxes is finalized. After the design is finalized, hand that over to your printer for a mock-up to make sure it is the packaging that will hit the market and will collect bunch of sales for you. After you get the mock-up, make final adjustments to the design or finishing options those will be applied to the packaging to make it perfect packaging for your product. Once design is finalized and confirmed, now is the time to release your product with beautiful custom printed boxes into the market. Make sure the launch of your product is big and is announced all over the social media and to your contacts. There are lots of services available those help you greatly in your product launch and ensure maximum reach of your product. After the launch, enjoy the sales!